This is a breakfast cake; if cake can be eaten for breakfast. Perfect balance of molasses and coconut and no overpowering sweetness. 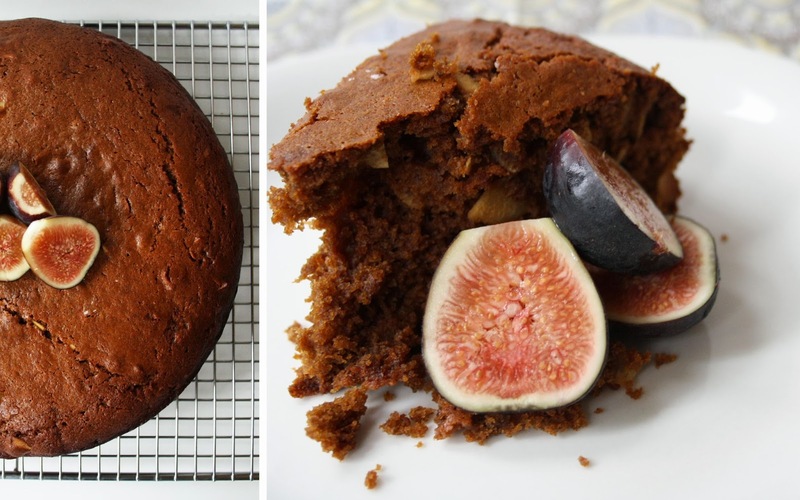 The figs add a subtle sweetness and moisture, but really, any fruit would do. Having baked goods in the house is dangerous...just saying. In a stand mixer, whip the butter; then add the syrup, egg, milk and molasses; mix to combine. Add the remaining ingredients into the mixture and mix until combined. Grease baking pan, transfer mixture and bake for ~40 minutes (check at 30 and assess).